When one has finally made the decision to be rid of old wall coverings, whether paint, papers or bamboo, finding the right look for the new finish is both exciting, and frightening. Am I making the right choices? Wallpaper or paint? No matter what you decide you will happier with your new choices than you probably were with the outgoing look. 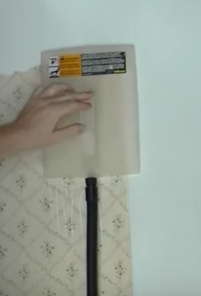 Since this is about wallpapering, stripping paper may seem daunting, something you may not want to attack yourself. If you have ever tried removing the stuff before, chances are it left you frustrated and begging for the chore to be over with immediately. It's like the paper was applied with the strongest glue known to mankind; making the scraping and steaming and whatever it takes pure torture. No one would blame you if it was the last time you ever removed wallpaper. Here's the kicker, we love removing the old patterns and prints and always look forward to prepping and recovering walls. It's part of house painting and we do it right. Essentially there are three ways that wallpaper is usually removed. The first way entails firm scraping and sanding by hand; second way is chemically with an application to paper directly; the third way is with steam, this is a big steam machine that removes vigorous labor from the job at hand. Either way there are benefits and downsides. Pro Painters removes wallpaper and will always take the following steps much like when we paint such as placing drop cloths, moving furniture as needed to eliminate any possibility of damage. We use grandmas pie crust cutter to score paper, that zig-zag patterned pizza cutter she cut pastry with. We do this to and create perforations which allows chemicals or steam to penetrate and loosen adhesion. Our super secret chemical got out recently so we can tell you it's extremely hot water with fabric softener added, nothing for NASA but it's kind to the environment. As soon as the wallpaper has been stripped, we will perform a thorough cleaning of the walls and begin to prepare them for a new covering. Out comes another super duper contraption that will smooth the wall clean getting it fully prepared to take on a new covering of paint or paper. Just think how smooth and soft your walls will be after we strip the paper with our concoction of water and fabric softener. The environment will be happy too. Today's choices of wallpapers will leave you delighted and happy you chose to recover your walls with a bright print or a classic Victorian design, whatever makes you happy. Modern art with its graphics and symbols has broadened the styles and designs available for rooms. In addition to the newer designs is the fact that quality has come a long way. Whether you choose to hang your own paper or have us come in to make your home look beautiful, you will have a great time choosing the wide array of papers and colorful options being offered to those that are redoing their home and office interiors. See what the designers are raving about. Send us your request for an estimate to paint or paper.